Next Level - Festival for Games — Respawn 2016 Seid dabei! Im Vorfeld der gamescom laden die Macher*innen der Quo Vadis, Deutschlands größter Entwicklerkonferenz, zur Respawn, der Alternative zur superteuren GDC Europe. Auch in diesem Jahr wird es wieder eine Entwicklerkonferenz im New Yorker Dock.One geben. Mit dem Early Bird Ticket sogar nochmal 20% günstiger: Wer hin möchte, sollte nicht mehr lange überlegen. Die Hälfte der vergünstigten Tickets ist bereits ausverkauft. Hier geht es zu den Tickets. »The Phoenix is preparing to rise once again, on August 15 and 16, 2016 in Cologne. Until May 30 it is gathering it's powers, to rise up from the ashes, and for that he needs your support now! Submit your session and/or share the link to our Call for Participation: bit.ly/1SKFXym. 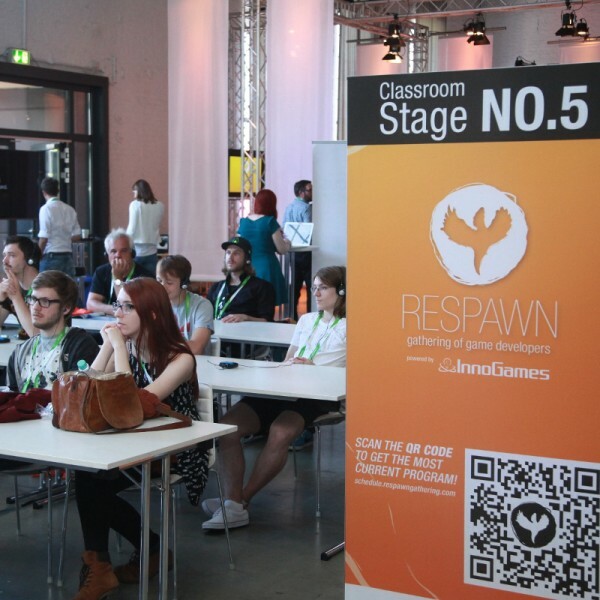 The basic thought behind Respawn is to create a relaxed and unconstrained forum where game developers, trade visitors and students can connect and exchange ideas. The innovative conference and networking concept was welcomed enthusiastically by more than 500 visitors at its premiere in the first year, soon to be followed by 800 visitors in 2014 and more than a thousand in 2015.